he big-screen re-telling of He-Man is closer to landing writers, Sam Raimi has signed on to produce the female-fronted horror film Behind, and the Minecraft movie is moving forward again in our latest development roundup. Matt Holloway and Art Marcum, the duo behind the screenplay for Iron Man, which kick-started the MCU, might be tackling Eternia for Sony Pictures' and Mattel Films' Masters of the Universe. According to The Wrap, the duo is in talks to re-write David S. Goyer's script, who is also executive-producing. The project comes as part of Mattel's new film division, Mattel Studios, which will dedicate itself to movies that directly tie into its toy lines, which obviously includes He-Man. The upcoming Barbie movie starring Margot Robbie is another Mattel Studios production currently in development. 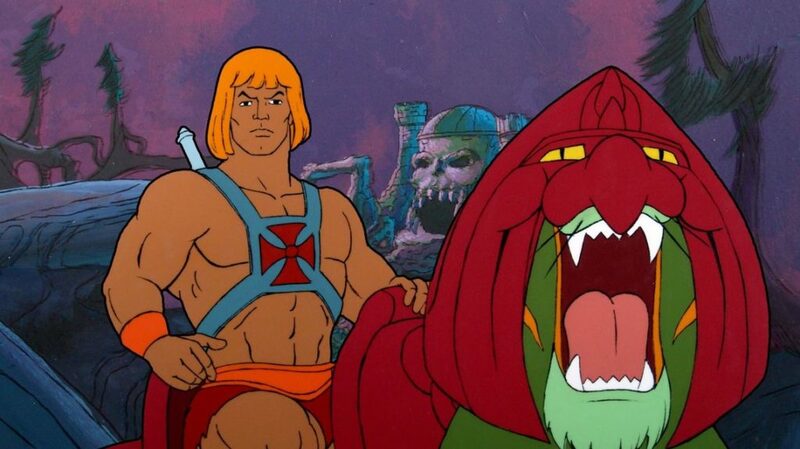 The He-Man toy line was first launched by Mattel in the early 1980s. It was made into a film in 1987, which starred Dolph Lundgren. Coincidentally, it was also titled Masters of the Universe. There's no word on a release date just yet. In the meantime, you can check out He-Man's twin sister She-Ra in her latest animated series on Netflix, which will be devoid of He-Man for the foreseeable future. Next, the long-awaited Minecraft movie gets closer to becoming a reality. Variety reports that Peter Sollett, who directed the acclaimed Raising Victor Vargas, will helm the video game adaptation for Warner Bros. The Minecraft moviewasfirst announced in 2014, with various talent attached at different points, including Shawn Levy and Steve Carrell. Most recently, It's Always Sunny in Philadelphia co-creator and star Rob McElhenney was slated to direct, before leaving the project in August last year. Mojang, who developed the initial open-world video-game-turned-global-phenomenon, will co-produce the film. Finally, filmmaker Sam Raimi has signed on to produce the horror film Behind for Lionsgate. The Evil Dead creator will produce via his Ghost House Pictures banner with Robert Tapert, per The Hollywood Reporter. Raimi and Ghost House have a bit of a history with Lionsgate, which includes both The Grudge and Fede Alvarez's Don’t Breathe. The feature is based on the short film by Angel Gomez, who will be returning to the director's chair. Zak Olkewicz will write the script. The original short (above), which scored several accolades during its festival run in 2016, centers on a woman going through a divorce who's afraid she will lose her baby daughter. When a mysterious woman tells her that she's being followed, an innocuous comment becomes a terrifying nightmare where she's forced to do everything she can to save her daughter from unspeakable evil.